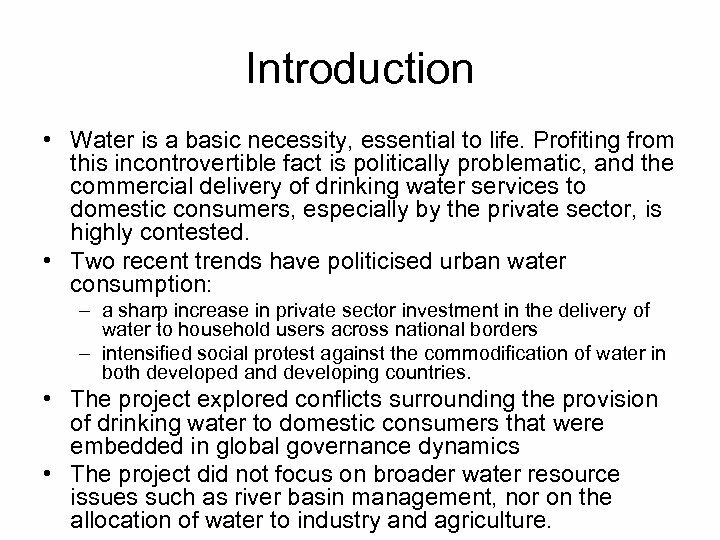 Introduction • Water is a basic necessity, essential to life. 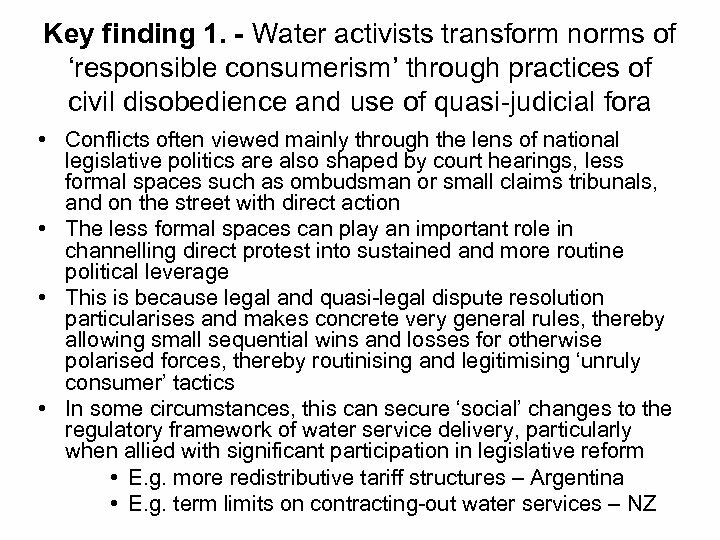 Profiting from this incontrovertible fact is politically problematic, and the commercial delivery of drinking water services to domestic consumers, especially by the private sector, is highly contested. 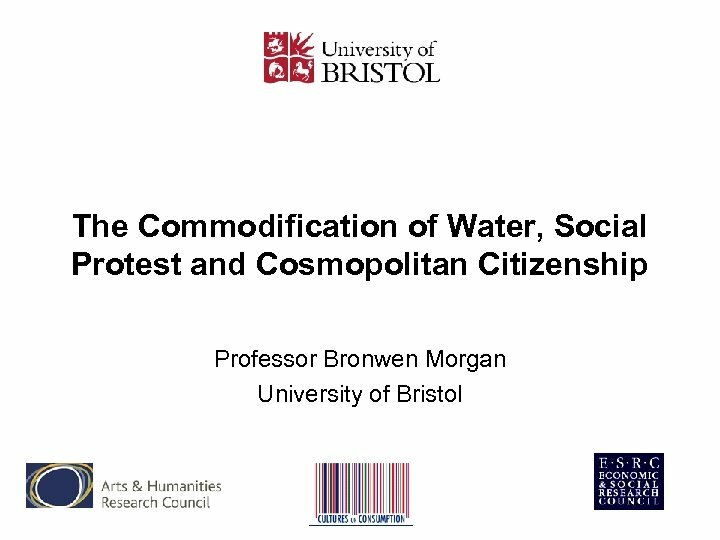 • Two recent trends have politicised urban water consumption: – a sharp increase in private sector investment in the delivery of water to household users across national borders – intensified social protest against the commodification of water in both developed and developing countries. 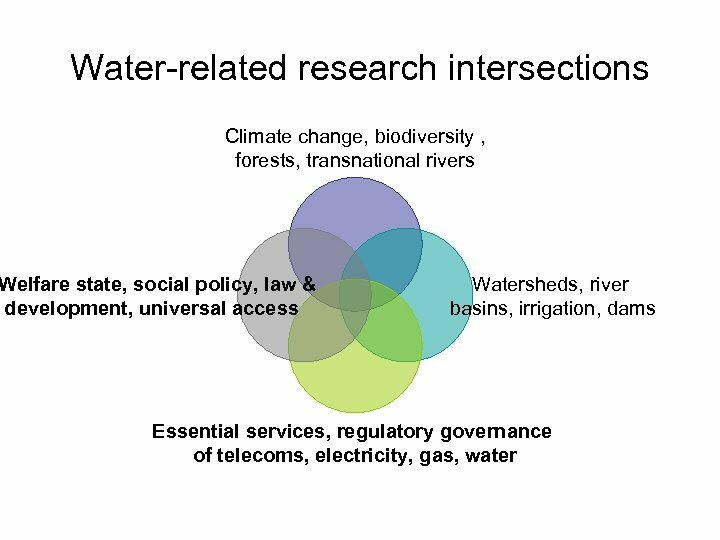 • The project explored conflicts surrounding the provision of drinking water to domestic consumers that were embedded in global governance dynamics • The project did not focus on broader water resource issues such as river basin management, nor on the allocation of water to industry and agriculture. 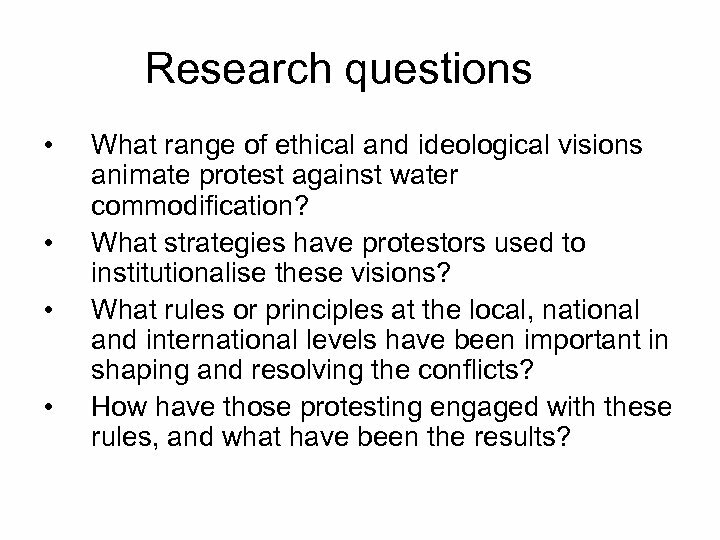 Research questions • • What range of ethical and ideological visions animate protest against water commodification? 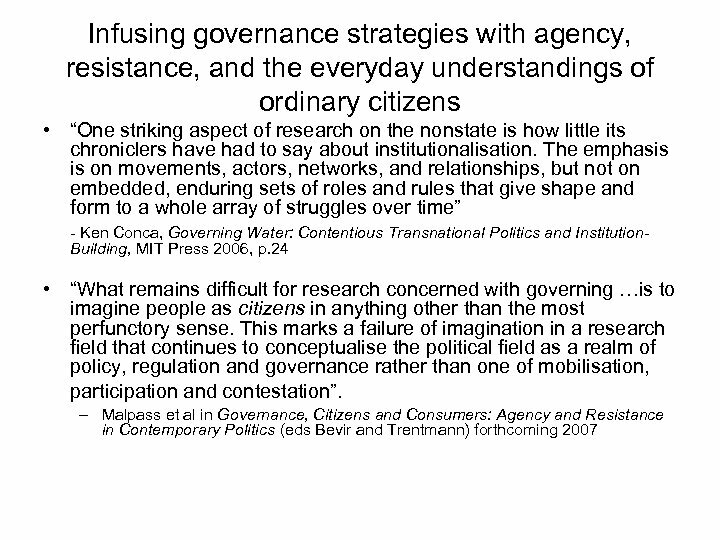 What strategies have protestors used to institutionalise these visions? 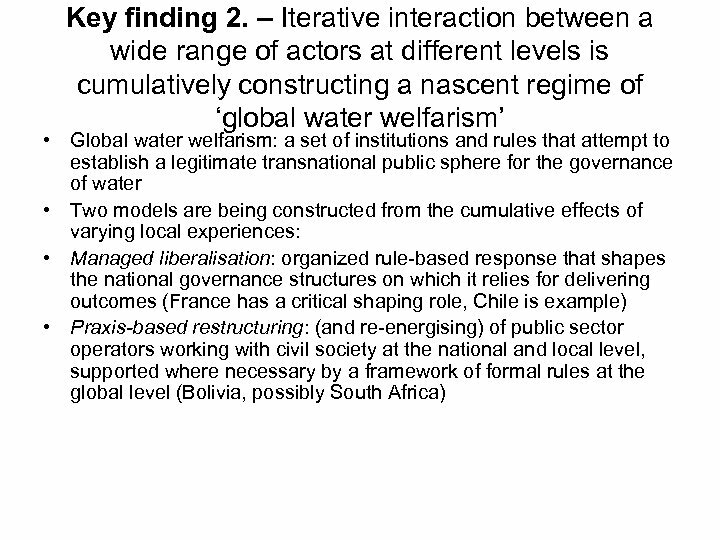 What rules or principles at the local, national and international levels have been important in shaping and resolving the conflicts? How have those protesting engaged with these rules, and what have been the results? What does GOOD HEALTH really mean ? BIOPOLITICS The Political Potential of the Life Sciences.